TUCSON, Ariz. -- Starbucks may soon deliver your favorite order right to you. The coffee chain is launching its delivery service in San Francisco and plans to expand to some stores in New York, Washington, Boston, Chicago and Los Angeles. 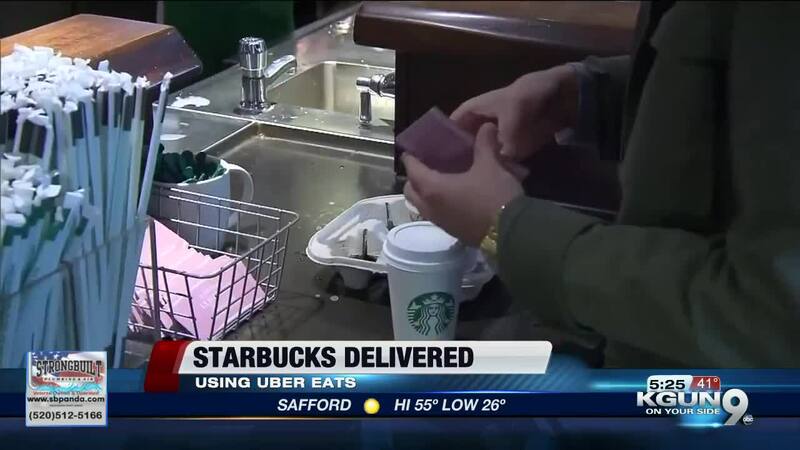 Starbucks says 95 percent of its menu will be available to order using Uber Eats , but you will have to pay for the convenience. There will be a $2.49 booking fee. The company says it aims to offer the service at nearly a fourth of its U.S. coffee shops.